With departure imminent, I want to sing the praises of my beautiful (inside and out) girlfriend, Carla, and her efforts to bring much-needed winter clothing to the kids in the mountainous regions of Nepal. She coordinated a similar effort in 2012 for our first trip to Nepal, and the grateful beneficiaries of that effort can be seen at left. 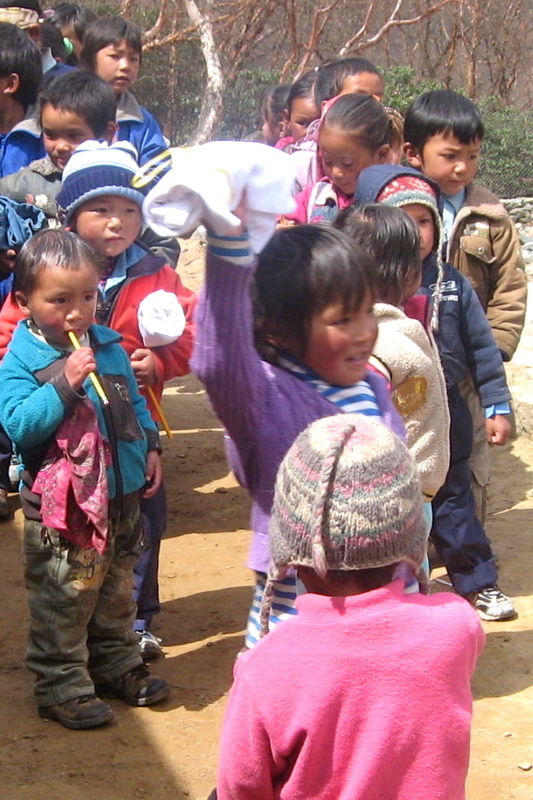 I also want to extend my sincerest thanks to all of you that donated your children’s winter clothing (either in 2012 or for this trip) to make these moments possible. We are simply the grateful conduit for your generosity. The climbing season in Nepal is getting underway and our team is looking forward to joining the fray shortly. Most teams are already making their way up the Khumbu Valley and will be arriving in Everest base camp in the next few days. We will be coming in behind most of the groups, but with a small, strong team, we will have plenty of time to acclimatize effectively. There are reports of rain/snow in the Khumbu, so we may have timed our arrival optimally to avoid some of this, although we will find out if this is the case soon enough. 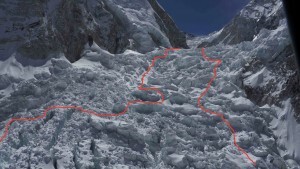 As our expedition gets underway, I will try to keep this blog updated regularly as travels, conditions and connectivity permit, but a great option to follow what is happening on Everest in its totality every year is Alan Arnette’s excellent blog (link at left – but note you need to scroll down a bit on this page to see his most recent posts). Alan’s coverage this year should be particularly interesting given the events of last year and the fact that he will be reporting directly from Everest base camp this year as he attempts to climb Lhotse. As always, thanks for the great updates and posts. You will be in our thoughts throughout your journey and we look forward to celebrating your return. Be safe and enjoy the experience. See you soon back in Colorado to hear the incredible stories and revel in the pictures. Thanks, Ryan. Looking forward to catching-up. Big party this summer when I get back regardless!